The Dog Agility Sports offered by Puppycom will be opened to Dogs of all breeds, Mixed Breeds and both Pure Breeds and Mongrel are treated equally here. 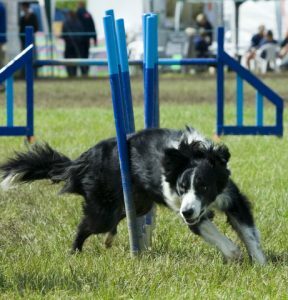 Agility began as an exhibition sport in Great Britain and is now being introduced to countries worldwide. The sport was patterned after equestrian events and combines handler control, agility, and confidence. 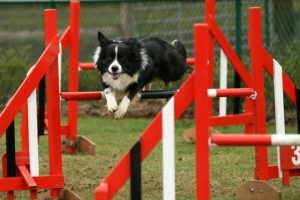 The sport of agility is comprised of a course set up of many different obstacles. Agility is meant to be a fun, non-regimented sport, with a lot of spectator appeal. Obstacles include jumps, tunnels, a dog walk, a see-saw or teeter, an A-frame and weave poles. We currently offer Foundation Training for Agility for Dogs or Puppies that is more than 3 Months of Age. There is no need for your dog to complete the Dog Obedience Training before joining our Agility Course. 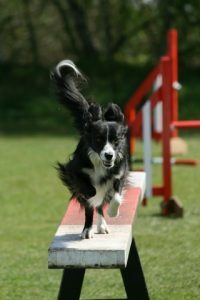 Our Foundation Training for Agility will prepare and enable you to be ready for Advance Agility Training after a few months. After the Foundation Training, you should by then learnt how to control your dog for Agility run and you will then train your dog on clearing all the obstacles such as Jump, A-Frame, Rigid Tunnels, Collapsible Tunnel, Dog Walk, Castle Jump, Weaving Poles, Tire Jump and more. In addition, you will also be trained to run agility course effectively and walk and study the Agility Course. 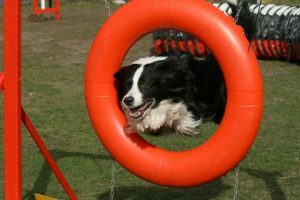 As the Agility Sports require the dog to jump to clear certain obstacles, we will only be able to accept dog which is 9 Months or older for the Intermediate and Advance Course. 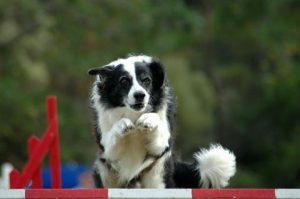 What dog is best suited for agility? Any dog with good physical agility and energy is a strong candidate for the sport. Though many breeds that has high drive appear more naturally adapted to the sport, more than 150 breeds (including mixed-breeds as a single group) have demonstrated their ability to perform well. To sign up for the Agility Course, please use this link.